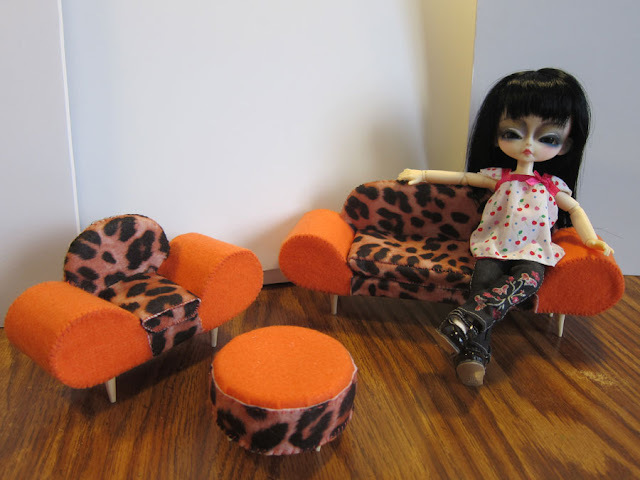 I finally got the patterned felt to finish the living room furniture for the Bighead dollhouse. I remember the family making jokes about the furniture because they were hand me downs and pretty outdated by the early 80's. They were still in very good condition. These miniatures are in 1/6 scale and are made of foam board, wood, quilt batting, and felt.